The term “Visual Development” is typically associated with the animation industry. …but whether you’re a visual development artist, concept artist, illustrator, comics or children’s book creator, your job is to develop stories visually. …and one of the best ways to demonstrate that you can develop a story visually is to… …well, um… Develop a story visually! Most aspiring Visual Development Artists base their portfolios on fairy tales or popular novels. …but would it be better to write your own original story and develop that? In this episode, we examine the pros and cons of developing a well-known story like a fairy tale or popular novel. In part two, we’ll explore the less-common approach of writing and developing your own original stories. At first I thought I had somehow missed the announcement and subsequently missed two episodes! Such a tease! I can’t wait until this launches! Since this is a “subscriber only” podcast, will we be able to access it through podcasts/our mobile devices? Perhaps download and then put into iTunes manually? We’ll share the details on launch day but YES! You will be able to choose a subscription plan that includes downloading of EAJ episodes. Great first episode! Really inspiring! How does this apply to character design portfolios? Is it better to create your own concepts, or reimaging existing characters? Surely producers are sick of seeing Batman redesigned a million times? You got it, Craig. I would say it applies in the exact same way to character design. In fact, character design is really just a more focused aspect of visual development. The “redesigned Batman” trend is difficult. This is pretty funny and mildly ironic. I am already writing and developing and alternative version to Alice and Wonderland. Alyssa in Faeryland… lol. Just so funny! I think my biggest problem (besides proportions and construction) is choosing what area of art I want to work for. Haha, I totally get what you mean, I’m still trying to figure that out myself! Well it’s still a work in progress, but I know the illustrations are going to be traditional ink with digital watercolors. They’re supposed to complement the text and add details. The last three pages are going to have no text just illustration. I held it in for the past two years (as in not touch it at all) trying not to start another project. I’m trying to keep it away from the original story, but also allude to the original. I’ve always love the original illustrations. I think with the kindle, that publishers may go with the color illustrations. If not, I can always self-publish on the kindle. Great first episode loved hearing and considering things about Vis Dev I had not thought about. At the end of the podcast when talking about the fear of the dream of having a career in creative roles. And that is a struggle for me but more specific to me is. I am afraid of what pursuing that dream will cost my wife and kids I know myself and I can and often to get lost in my art. I want that creative career, but time constraints and neglecting my family is a big fear of mine. I have already tried my families patients of graphic design endeavors that failed and set us back financially and relationally for years to come. That is the thing that paralyzes me and leaves me stuck at 37 doing graphic design that I tolerate but leaves me empty. But that longing that I have tried to bury, of an career in creative design or animation cannot be shaken. Yeah, though I’ve not had that much experience with it yet myself (simply due to how long I’ve been on the planet, haha), I can understand that fear. Personally I’m already prone to being super reclusive, and so adding in a passion that caters to that already present tendency definitely means that I’m super prone to neglecting relationships… I can only imagine that gets exponentially difficult with a partner and children in the equation. But I think that there are definitely ways to find that balance in one’s life, even if it means taking really small steps at a time! It may seem like it’s ‘not enough’ but I think that even just doing a little bit of what you love to start off with is absolutely worth it. Yaaayyy I’ve been so excited for Escape from Art Jail and this is an awesome first episode! It is encouraging to hear that you can still enjoy the struggles you will encounter. This is one of my biggest fears, that the battle to follow and obtain my dream will be so large as to crush it, or perhaps the realities of a creative job will sap my initial motivation, but finding a way to enjoy the challenge is a great way to keep going. I totally get that, it’s something that scares me as well (I can very easily end up cynical, haha)! Oh gosh, great episode, thank you both – parts of it hit a little too close to home, but it’s exactly what I needed to hear. I fear with a visdev project I’ve been slowly working on, I’ve become a bit too attached to the original source material, and – as you both mentioned, haven’t made my take unique enough. I’m trying to develop a portfolio project reimagining Fritz Lang’s Metropolis as an animated feature. I’ve been having a blast designing the characters, but am struggling depicting their world in a way that’s unique from the film’s version of a dystopian near-future city. 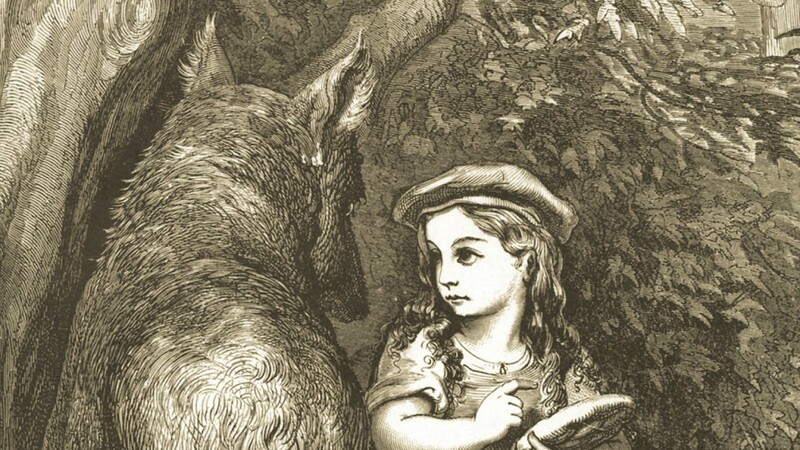 Obscure fairytales and folklore is the best, as well! It’s really glad to hear that. I find the subtle difference between “over-played” and “unique” to be very remarkable. I think the example of Alice in Wonderland Steampunk vs Alice in Wonderland Under the Sea really interesting, since under the sea seemed like a mashup too? So the basic rule thumb is to just avoid any cliches? Since Winnie the Pooh was mentioned, would “Winnie the Pooh, but at real animals, not toys” be an idea that’s on the right path. I also realized that I don’t understand the difference between visdev, concept art, and illustration. Can that be explained? Lastly, Ania is some sort of wizard. Her comments on confidence were so encouraging. Mmm… I would say that it’s more about… bringing your own genuine voice to the idea? I think that cliches can end up being completely dismissed out of hand, but it’s important to analyse and consider WHY it became a cliche in the first place. All cliches were once original, and there’s a reason why they have ended up being latched onto by multitudes of people. So, rather than simply discounting cliches in and of themselves, I think it’s more about actively thinking about WHY you’re using it, if you choose to, or what the essence of the cliche actually is. What was the actual purpose of using these ideas? I’m not entirely sure that there _is_ really a distinction between visdev and concept art, I think they are used interchangeably. But (and someone correct me if I’m wrong) the distinction between illustration and concept art/visual development is that the illustration is the final product, and not an exploration of ideas that will be implemented in the final product. An illustration is self-contained and is the end in and of itself, whereas concept art is the means towards creating the look of the final product. I don’t know if this makes any sense, hahaha. I think the confusion comes from a lot of the work that is released to the public as ‘concept art’, when they are really actually closer to illustrations. My understanding is that they’re released (and used for promotion) precisely because they look gorgeous and like polished work, but the majority of concept art isn’t brought to that level of finish, because that’s not the purpose of the work. Thanks for the reply, that does actually clear it up for me. That’s very interesting, since it requires a lot of soul searching, I suppose. Oh vis dev and concept art are interchangeable, those tricky terms, very clever. I know I’m late to the party, but thank you so much for your kind words!! 🙂 Really nice of you to say that. Another fantastic episode! (As to be expected.) I really love how practical this is, especially as this is the area I struggle the most with. I tend to have loads of ideas that never reach fruition and am constantly left feeling disappointed in myself. Interestingly, how you are tackling big projects, by breaking them down, ‘the power of the quick win’ and expanding your comfort zone is very similar to how CBT (Cognitive Behavioural Therapy) tackles anxiety and low self esteem. (Something that I struggle with.) I think art and mental health tend to be very interlinked… sorry thats a bit of a tangent. I was wondering, when making a visual development portfolio from one story, what’s the best way to break it down. For example, thinking of the finished product send me into the terror zone, but if I could tackle one thing at a time (a prop, or a character) that would be more manageable. What would be the best things to include? I am more interested in character design, but mostly because I havn’t really tried prop or background. Thankyou so much for another inspiring episode, you never fail to reignite my passion for art. Such a great episode. I can vouch for a increased Fandom as I did a fan story a while back and it increased a number r of people watching on Deviant art. I unfortunately didn’t know what to do next so I didn’t take full advantage of it. After this episode, I firmly have an idea how difficult it is to get a studio job which is what I want but I wasn’t surprised either. I had moments there when I got chills man. Chills! The point about easy wins and gaining momentum, I totally needed because I practically snubbed fanart. How dare I develope this other work while mine was dying? What Chris said also about unillustrated works really struck a chord! I was just recently thinking of oz and never ending story. Mainly because I have a disturbing non memory of it all. I used to read a lot but I have a bad memory. All that Koontz caught up with me. Never again! I find the earliest influences are the strongest. Get back to the roots! I’m gonna take what Edge said and look for prompts in the story. I can’t tell when last I read the book. You know what’s weird I never had a picture of the world I read about. And I never thought to develope it! The thought of flexing the muscles seems difficult, but not as fear inspiring, it even seems exciting now! Thanks Anya. You know that comment about expanding the comfort zone was really really like a puzzle piece. It just put it all together! Wonderful to be here. Thanks for the Keys. Just a nitpick for the easily disturbed. A sunshiny reference to offset the haunting would greatly be appreciated. There was an unintended imbalance. I just happen to be sensitive. I won’t look at Pet Shop or Wonderland or Fables or Folklore. They are common ground yes, but not wholly embraced. I’m dealing with ridding myself of the bad memories. I did get the point though! I grasped at to the Pooh reference like a drowning man. Sketching right now is out of to he question. All that note taking tuckered out my arm. By chance are any of you ambidextrous? I’m late to the game but I just listened to this for the first time and the last part almost made me cry. I AM SO AFRAAAAAAAID! I am even afraid to tell other people what my goals are, for fear that they will just confirm my own insecurities. Baby steps and comfort zone. YES! Wow! 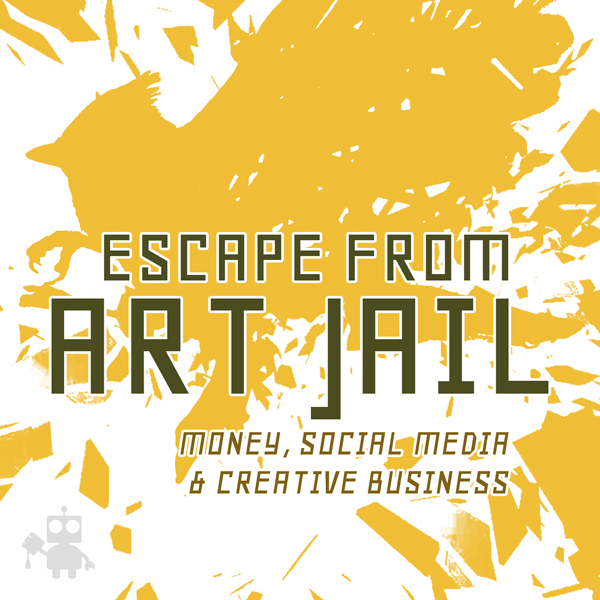 I just bought a backstage pass a few hours ago and I have watched two portfolio reviews and started listening to Escape from Art Jail and I AM LEARNING SO MUCH. I am so glad that I decided to try this out. It has been so worth it so far and I have only begun to scratch the surface of all the things on this website. Thanks so much guys. Amazing!!! Hey All you amazing Artists! This was such barn-burner of an episode. I literally had multiple ah-ha! moments. This was such a huge help. You all have so many insights and have a depth and breadth of experience, but make it so accessible and attainable. I jumped right in drawing like never before as I listened and I really feel the support and community here. You guys are providing a invaluable service to us aspiring and passionate artists looking to grow and develop. I was getting chills and was laughing out loud as if I was in the room. Bravo folks! I decided to re-invision Frank Herbert’s Dune and change the time period to an Ice Age and arctic dessert like the Gobi. It helped me shift my perspective on this favorite of mine. The ideas came flooding in. I don’t usually try to work with preexisting story, but I loved the exercise. Truly inspiring! I look forward to continuing my art education and growing with the help of Oakley Academy! It is great to see and hear all this high-octane creativity in one place. I am so glad I finally did the full subscription. I stumbled across your YouTube Channel and was really inspired by all of the podcasts. I am currently working on overhauling my portfolio for CTN Expo in November so when I saw you did multiple podcasts on it, I had to sign up for the full subscription! This first one was really helpful and inspiring. I have been really driven and have some ideas for my portfolio but hearing this really got my gears turning more! Happy to have you join up, Katelyn!!! Welcome!! !